What makes content convincing? The secret ingredient to awesome content isn’t a tight argument or even a great concept. It’s EMOTIONS! People make most of their decisions based on how they’re feeling. This is especially true when it comes to purchasing decisions. Forging positive connections with your audience won’t just increase sales, but it will also promote brand loyalty. 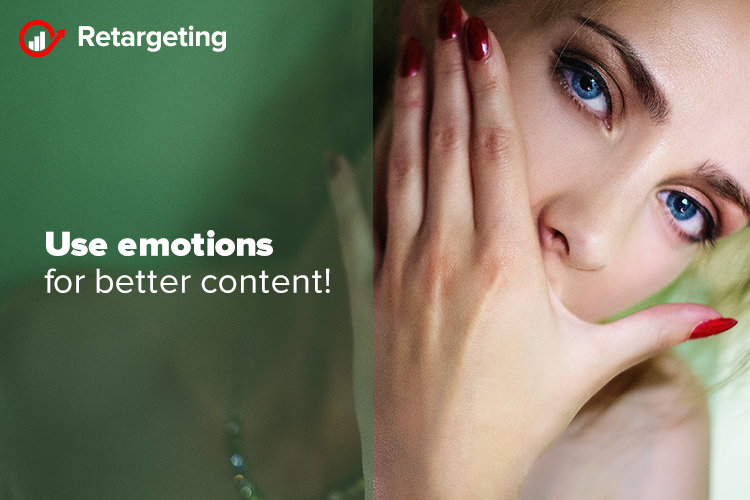 Leverage emotion in your marketing and your content will just keep getting better. For example, telling stories about your business can increase your brand’s likeability factor. Stories about customers can also be an effective way to connect with your audience. Consumers often buy things just to feel unique or superior to other people. Harnessing this drive is a great way to build a strong image for your brand. To tap into your audience’s desire to feel special, use your content to paint a specific picture of your product or service. Product demos, customer spotlights, and evocative advertisements are all good ways of creating emotions from your users. The fear of missing out is a powerful force. Nobody wants a great deal or a juicy secret to pass them by. If you can create emotions of anxiety or urgency in your audience, you’ll get a reaction out of them. A limited time only product or deal is a good way to use the power of FOMO. Another idea is to offer an exclusive membership or loyalty program. If people worry about what they might be missing out on, they’ll be more interested in your brand and your product. A little mystery goes a long way! Unanswered questions are intriguing. That’s why so many pieces of content are titled with a question: people want to know the answer, so they click. Ask a question and use the body of your content to answer it. Or, if there are any long-standing unanswered questions in your field, try creating content around them. Laughter is a great way to form an instant connection with someone. Marketing doesn’t have to be serious all the time. In fact, including humor can be great for your brand’s image. People need to feel accepted, liked, and important. That’s why content that makes people feel like part of a group or cause can be very effective. One way to make use of this strategy is to present your brand as a club or lifestyle, instead of just a business. Using pop culture references can instantly make your content more interesting to a lot of people. Think about what types of entertainment your audience likes, and choose pop culture references that will establish a feeling of common ground with them. Try including references to classic TV shows, new blockbusters, or even memes.